FOR FANS OF: New Order, Joy Division, Acid House, Factory Records & The Haçienda night club, Peter Hook & Phil Murphy pay homage to The Haçienda’s role as the birthplace of Acid House, indulging their passion for the subliminal. 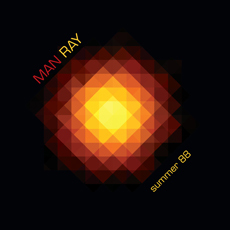 The first release from legendary Joy Division & New Order bassist Peter Hook’s new label, Haçienda Records UK, is the Man Ray “summer 88 EP”. Revisiting the staple sounds of the period, the duo used a mixture of classic Roland synths & drum machines to simulate the early Acid House vibes making both tracks feel naturally timeless. “We’re On It” presents itself as a twisting laid back groove, permeated with references to early Detroit & Chicago house music and the classic elements of the lighter side of acid. Hook recalls his memories of the era spoken word style, as the track bobs & weaves and breaks up & down with a pulsating bassline, elegant synths & a cooly defined grace. “Ways Of Making Music” also contains a Hook voice over but mixes in classic breakbeats, rave sirens & floor shaking electro bass, displaying a harsher, more abrasive acid style. Reminiscent of middle of the dancefloor Haçienda action from way back, the whistles, Todd Terry-esque keyboard stabs and sense of musical adventure recall the euphoric freedom & passion of the acid house revolution at the Haçienda. Originally produced as the opening tracks to 2009’s “Hacienda Acid House Classics” album, both tracks have been extended and reworked for the versions on this EP.